André Rieu: “Welcome to my World” captures never seen before aspects of his life through a combination of behind-the-scenes documentary, music performances and special heart-warming interviews. This unique series follow the Classical Brit Award-winning artist and his very special guests as they prepare to perform in dazzling concerts around the world. From Australia to Argentina via Mexico and Maastricht, viewers will join André Rieu and members of the famous Johann Strauss Orchestra in a spectacular journey celebrating music, waltzes and his spellbinding showmanship. Each episode documents an exhilarating part of the maestro’s life, as well as showcasing new concert performances. 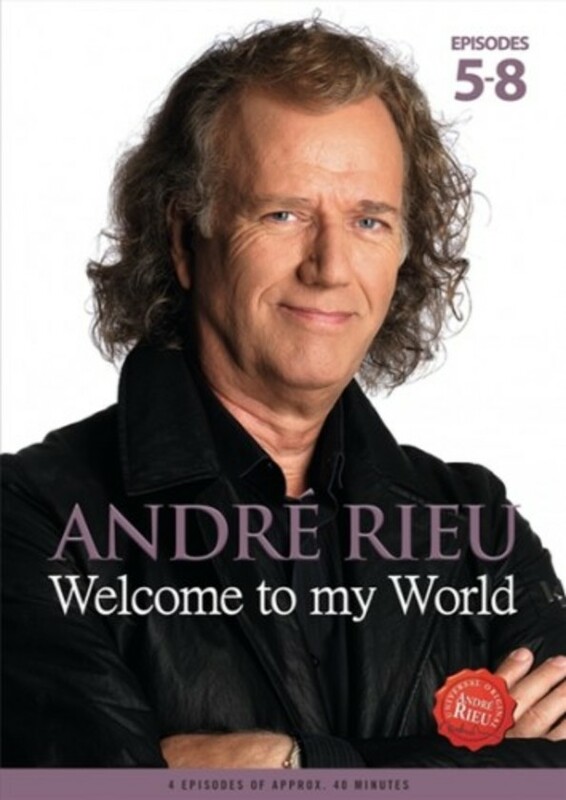 André Rieu: “Welcome to my World” features exclusive interviews and unprecedented access to the team who work with the violinist and help make his concerts so memorable. The episodes contain unique interviews with his sons Marc and Pierre Rieu and long-standing members of the Johann Strauss Orchestra, as well as his trusted concert soloists Carla Maffioletti, Carmen Monarcha and Mirusia Louwerse and many more special guests.